Back in the 1994 when Liz at Lancaster first started, the only benchmarking publication (ie requiring certain set standards) – for B&Bs and guesthouses in South Africa was the Portfolio Collection. To be included was a great honour and it certainly kick-started Liz at Lancaster. Soon various benchmarking bodies started appearing on the scene (AA Quality Assurance; National Accommodation Association), as well as existing organizations which started to include the small accommodation sector in their star grading (Tourism Grading Council South Africa). However, over the last 25 years emphasis has gradually shifted to on-line portals and towards crowdsourcing. More and more potential guests prefer to rely on fellow traveler reviews on sites such as TripAdvisor, Google Business, Facebook, Expedia, etc. Stay at our well located Guest House and experience luxurious and home-styled accommodation. View our Craighall Park Guest House for Rates and Availability! 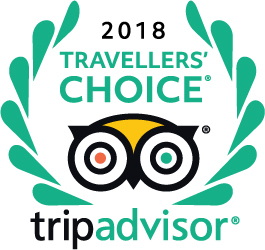 So it was with great jubilation that we received the notification from TripAdvisor that Liz at Lancaster is a 2018 Travelers Choice Award winner in the category Top 25 B&Bs and Inns — South Africa. Their blurb continues: ‘Travelers’ Choice awards are the highest honor TripAdvisor can give – meaning your business is truly exceptional. Based on reviews and opinions from millions of travelers, you’re in the top 1% of hotels’. In 2013 we snuck in at no 25 whereas this year we are ranked at 13. And most astonishing of all is to see the facilities and settings of the other award winners. We feel a little intimidated by the illustrious company that we are keeping. 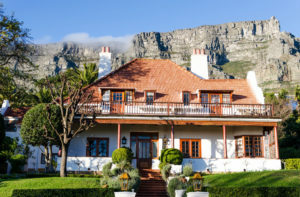 22 of the 25 award winners are in the Western Cape; all without fail are located in a glamorous setting and/or have heritage status; and there are even several 5 star graded establishments. Apart from Liz at Lancaster, there are only other 2 establishments that are not in the Western Cape. Umvangati (ranked 6) is in the heart of the Blyde River Canyon Area in Mpumalanga, close to the Kruger National Park. And KwaLucia Private Safari Retreat (25) is located in St. Lucia surrounded by the World Heritage site: the iSimangaliso Wetland Park in KwaZuluNatal. Ranked at no 5 by TripAdvisor travelers, is Cube Guesthouse in Hout Bay, Cape Town. This establishment has six rooms and offers stunning sea and mountain views. In Camps Bay, one of most desirable of Cape Town seafront suburbs, you’ll find Boutique on 10 (no 7). Their 4 luxury suites all have ocean views. Along the Cape Coast just past Hermanus is the little fishing village of De Kelders, which lies 5 km north of Gansbaai. Apart from its picturesqueness, what makes De Kelders so special is that it looks out onto Walker Bay: one of the main breeding grounds of the Southern Right Whale. Between July and November these whales return to mate and calve close to the De Kelders coast-line. And it’s in this prime location that you will find Crayfishlodge. 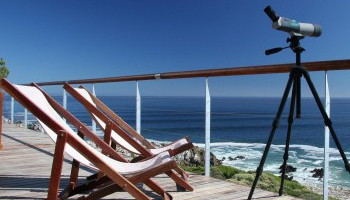 Their 2 suites and 3 rooms have private balconies with sea views, ideal for whale-watching. They are close to the Grootbos Nature Reserve and as if that isn’t enough to get you booking, the Chaine De Rotisseur restaurant: Red Indigo is nearby. 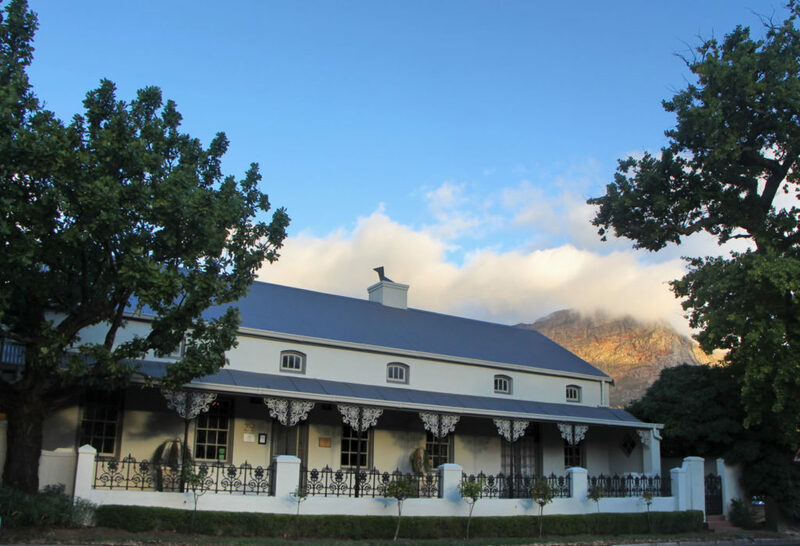 Further afield in Somerset West , in the very heart of the Cape winelands, is the 5 star Blaauwheim – an exclusive guesthouse with only 3 suites. In addition to the above, there are 10 more coastal Travelers’ Choice winners, all of which have the most glorious views of the sea or tidal lagoons and /or impressive mountain ranges. 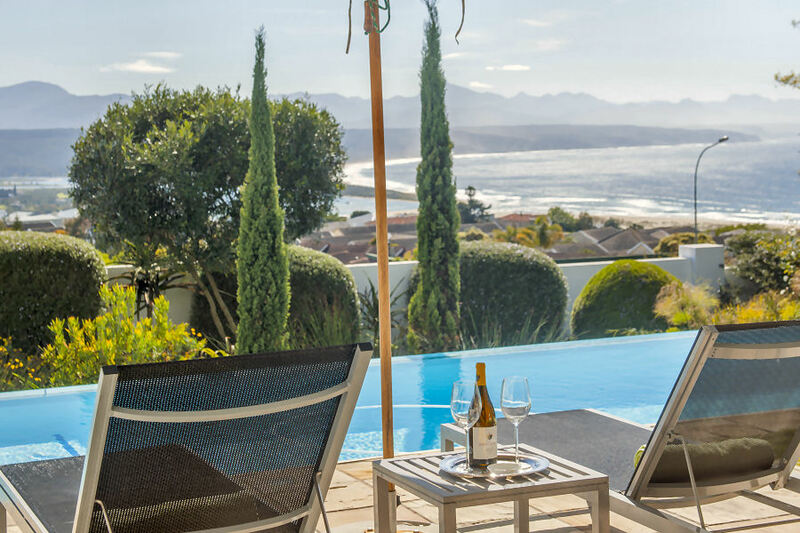 With De Kelders being world famous for whale watching you can see why there are no less than 3 establishments here which have made it into the top 25 B&Bs in South Africa (and this is NOT to minimize the high standards and customer satisfaction with these establishments). The name De Kelders derives from Die Drup Kelder (the drip cellar) because of the series of underground caves beneath the cliffs. And it is on these elevated cliffs that 2 further award winners are superbly positioned. Cliff Lodge, ranked at no 17, has 5 luxurious rooms affording ‘front row seats’ to view the antics of these magnificent creatures. 65 on Cliff (no 22) has 4 rooms with stunning views across Walker Bay. Both these establishments are close to Fernkloof Nature Reserve which has wonderful walking and hiking trails. A trip to De Kelders is on my bucket list for sure. Plettenberg Bay and Knysna, both on the famous Garden Route, claim 2 award winners each. 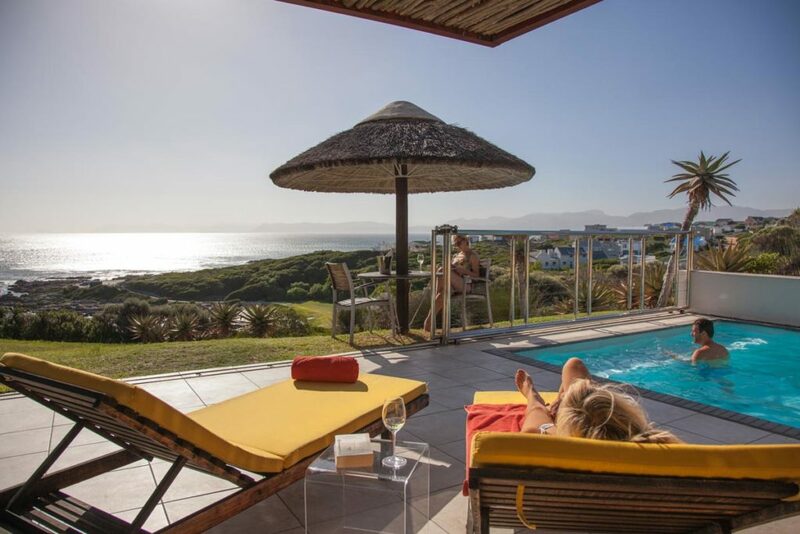 Ranked 4 is Safari Guesthouse (5 suites) with views over both the Robberg Vlei as well as the mountains of the Titsikamma. Aquavit (at no 9) overlooks the lagoon and the mountain range on the Lookout side of ‘Plett’ – the name used by locals for the bay, named after Von Plettenburg. 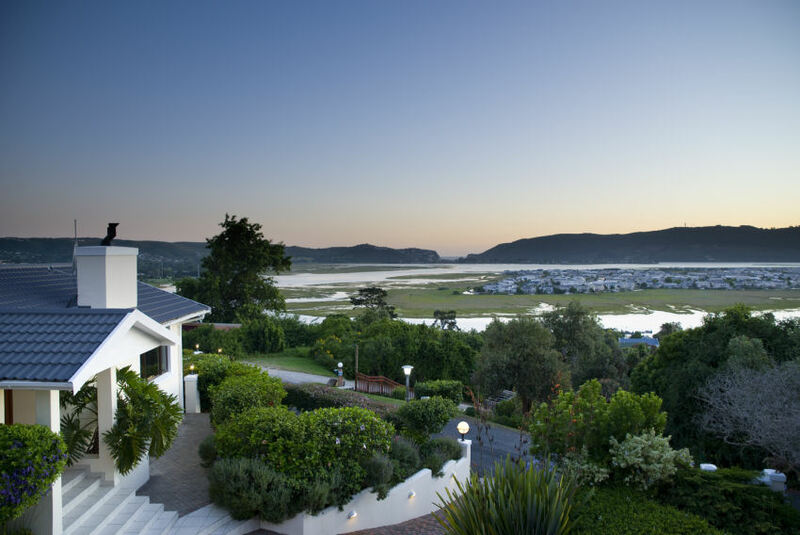 In Knysna, CandleWood Lodge has 6 rooms and a luxury suite with magnificent views over the Knysna lagoon and the famous Knysna Heads – the massive rock cliffs which stand like gigantic sentinels guarding the gap between the lagoon and the sea beyond. 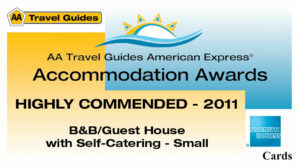 And ranked 24 is www.doubledutch.co.za with 4 cottages & 3 rooms – also in Knysna. In the nearby town of Wilderness (also on the Garden Route) is Wilderness Manor House with sweeping vistas of the Wilderness lagoon. Pater Noster, one of the oldest fishing villages on the West Coast of South Africa, has loads of guesthouses but Ah! Guesthouse is TripAdvisor’s Travelers’ Choice ranked at no 11. If you’re a foodie, you will love this 5 roomed guesthouse as they offer a 4 course fine dining evening meal 3 times a week. And on the nights you can’t eat at the guesthouse try Wolfgat . You’ll have to book WELL in advance. They do seasonal menus (10 courses) using ingredients harvested from the area. This is another blog in itself! 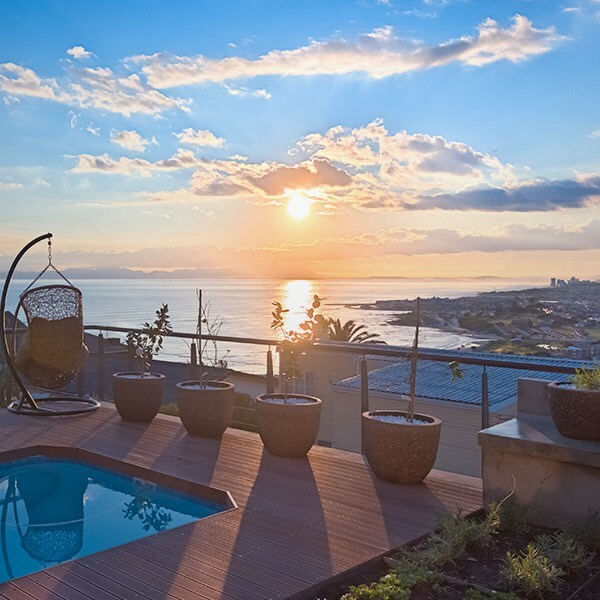 In Camps Bay (no 21) is Søvn Experience+Lifestyle, an ‘elegant mix of Scandinavian minimalism and African living’. You’ll find Travelers’ Choice no 23 in Gordon’s Bay which is a picturesque harbour village on the northeastern corner of False Bay about 50 km from Cape Town. At Chocolate Box guests can soak up the sun on the wooden pool deck and enjoy a drink at the poolside bar. And as if the ocean is not enough for the Cape guesthouses … look at these set in the midst of the winelands. We have to send special congratulations to Old Village Lodge which is ranked NUMBER ONE by travelers in this year’s awards. Built in 1861, this heritage house boasts original high ceilings, crystal chandeliers and wooden shutters. Old Village Lodge is situated high up in McGregor, a delightful village which is part of the famous R62 wine valley route and is close to the Boesmanskloof hiking trail. 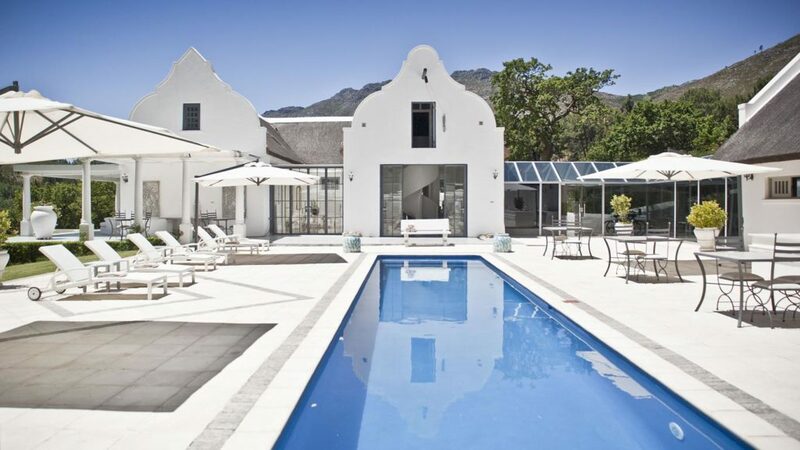 Dongola House (no 2) is located in Constantia Valley, Cape Town, within walking distance to Groot Constantia wine estate. Plus it borders on Grootboschkloof River walk and has views of Constantiaberg mountain and part of Tablemountain National Park. Now that is just greedy! 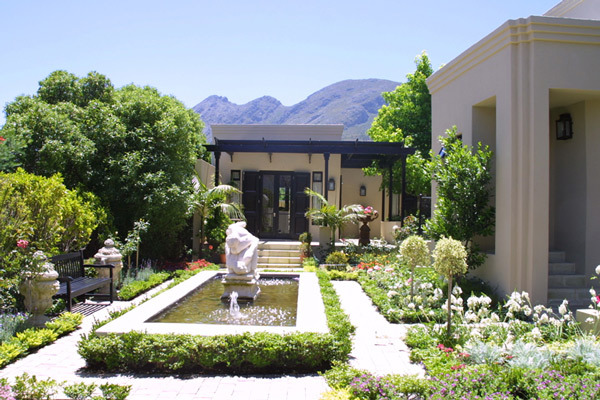 Franschhoek is the recognized food and wine capital of South Africa and on the edge of the village is 21 Roux Street (no 12), surrounded by orchards and vineyards against a spectacular mountain backdrop. Bloom Estate in Swellendam is set in 6 and a half acres of spectacular gardens in the Robertson wine valley close to the Marloth and De Hoop Nature Reserves, And they even have an on-site spa and jacuzzi. An early morning view to take your breath away: open the curtains at your luxury suite in the Boutique Guesthouse Cape Vermeer (ranked 19) and you will look up at the Helderberg Mountain, part of the Hottentots-Holland mountain range AND (as if that isn’t enough) a sea view towards False Bay. When too much beauty has exhausted you, visit their spa. And don’t forget the wine tours to estates like Vergelegen, Lourensford as well as wine farms in Stellenbosch, Franschhoek, Paarl and Constantia. Parker Cottage, Tamboerskloof, Cape Town. Now how’s that for a backdrop?? And yes, I’ve now covered 24 Award winners which leaves only one. And Parker Cottage is last but not least. I have never met Phil and his team, but in our contact through various emails and phone calls, I have always felt that we have a similar ethos and ‘way of being’ in the hospitality industry. What makes us different? Rather than being just a conventional place to sleep, Parker Cottage offers a very much unplugged urban retreat right in the creative heart of Cape Town; harmoniously blending simplicity, comfort, world-class service and an active concern for society and the environment. We could insert Liz at Lancaster instead of Parker Cottage and Johannesburg instead of Cape Town and I would be very comfortable that this is an accurate description of our guesthouse!! Phil and team you have said it all for us! Congratulations to you all! And special congratulations to Liz at Lancaster team – we have no mountains, no ocean views, no winelands, no glamourous pool decks, no hiking trails on our immediate doorstep, no heritage status – just an ordinary suburban property with a VERY unprepossessing entrance in fast-paced Jozi !! BUT we have passion for our city, commitment to caring personal service, and an eye for detail to provide everything a traveler needs for a comfortable stay. We look forward to welcoming TripAdvisor travelers in 2018. And a HUGE thank you to all who have written reviews that have enabled this prestigious award! We hope we can continue to live up to your expectations. Congratulations to Liz At lancaster. To be in the top 1% in an international Guest House evaluation is a wonderful achievement but also an acknowledgement to Liz herself who is devoted to making each and every person’s stay a special one.